FJC’s Darkeinu Jewish educational curriculum launched another one of its “Mega” internet contests ahead of Rosh Hashana 5779 this week. The contest is aimed at getting Jewish kids across the FSU involved in preparations for the upcoming holiday, which involves learning more about its customs, history, and traditions. For Mega Rosh Hashana the children are asked to take part in a social media flash-mob by creating a picture or a short video with an apple – one of the holiday’s symbols. The most viral images will win valuable prizes including hover-board, quadrocopter or a smart robot. Besides the flash-mob, Darkeinu also runs a Mega-dedicated website, where it publishes questions on holiday traditions for each seasonal contest also for prizes. 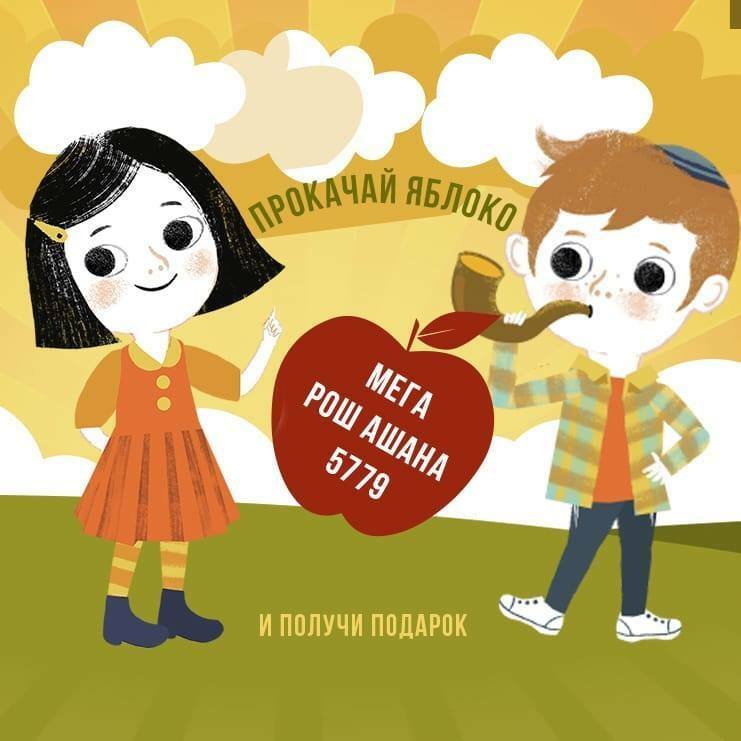 Launched at the beginning of 2017, Darkeinu’s “Mega” contests have since managed to get over 4,000 children involved in pre-holiday participation, which is especially important for the FSU region, where many Jewish children live far away from Jewish communities and not always feel the ‘Holiday Spirit’. “After each holiday contest we get hundreds of letters from parents and teachers telling us how much they enjoyed it,” said Ms. Sara Vernick, Darkeinu’s informal education coordinator. “Over 4,000 children have participated in our Mega contests. They have friends and relatives, with whom they share their interests, which means overall more than 10,000 people have become closer to their heritage!” she said.